Mastercard is Overhauling the Chargeback Process. Are You Ready? Big changes are coming to the Mastercard payments ecosystem. Mastercard started the rollout one of the biggest changes, the Mastercard Dispute Resolution Initiative (or MDRI), back in October 2018. This policy completely overhauls the Mastercard chargeback process. 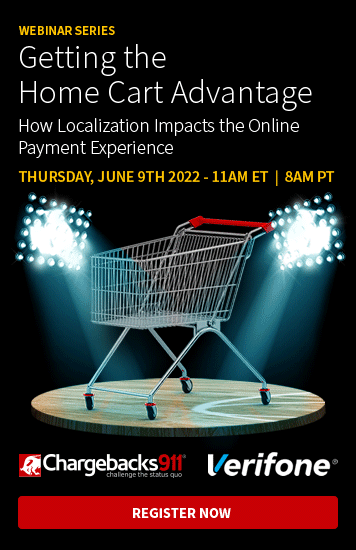 Much like Visa did with their Visa Claims Resolution (VCR) in April 2018, Mastercard hopes changing to a rules-based system will make the chargeback process more fair, pointed, and responsive to the demands of contemporary payments. In this post, we look at what the MDRI entails, what Mastercard hopes to accomplish, and how it may impact your bottom line. The consumer’s right to file a chargeback was introduced back in the mid-1970s. At the time, revolving payment cards were still a new and novel idea, and many consumers remained skeptical. Chargebacks were developed to build consumer confidence in credit cards: even if a customer fell victim to fraud, that person had a way to recover the money. Of course, times have changed in the last 45 years. In the time since chargebacks hit the scene, the rise of the internet, eCommerce, mobile devices, and much more have fundamentally changed the marketplace. Chargebacks failed to keep pace, though, creating gaps in policy and new vulnerabilities. Optimized practices offer faster and more accurate dispute outcomes. Regular changes are responsive to developments in technology and fraud trends. When does the change take effect, though? As a matter of fact, the MDRI rollout is already underway. 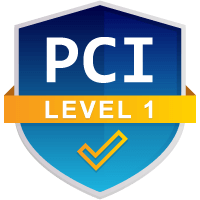 Requesting additional information from the cardholder helps filter out invalid disputes, meaning the changes from this phase should help prevent friendly fraud and cyber shoplifting. case. Under MDRI, this will no longer be allowed via a compliance or pre-compliance case. Mastercard instructs issuers to check for refunds/reversals prior to chargebacks, and to accept a second presentment if submitted as “Credit Processed." To avoid a double refund, you should find out if the customer's bank has been involved before filing a refund. If you offer a refund after the bank files a chargeback, you will need to accept the dispute. However, merchants have 45 days to contest a dispute in the event they submit a refund before the chargeback. The latter of those reason codes will tentatively be removed on July 12. Mastercard has yet to announce the details of Phase Three. Keep checking back regularly for more information. With Phase 4, Mastercard streamlines their existing chargeback process. The arbitration chargeback cycle (also known as the second chargeback cycle) will be removed. Instead, issuers can continue a dispute with pre-arbitrationprior to escalating to arbitration for fraud . This more closely resembles the Visa process used under Visa Claims Resolution. What About the Chargeback Guide? 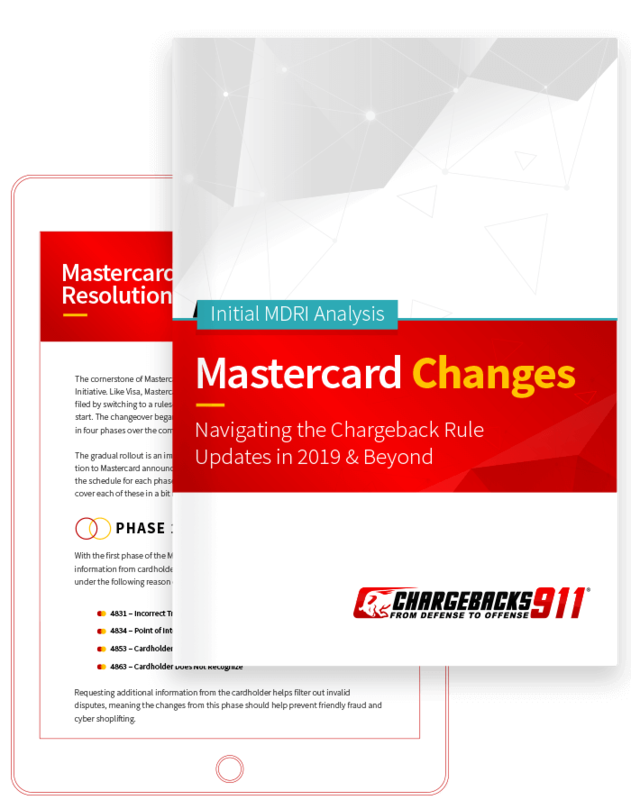 Mastercard issued the most recent version of their Chargeback Guide on December 13, 2018. This includes several changes adopted October 12, 2018, overlapping with the Mastercard Dispute Resolution Initiative. While there were details concerning late presentments set to change, this update has since been withdrawn. The update requires you to provide supporting documentation, such as a transcript of emails with your customer, for chargeback reason code 4863 (Cardholder Does Not Recognize). This covers just some of the detailed and complex changes. Click here to review the complete Mastercard Chargeback Guide. Get a detailed rundown on how the Mastercard Dispute Resolution Initiative will affect your business. Click here and get started. As we mentioned before, the Mastercard Dispute Resolution Initiative and Visa Claims Resolution have the same core goal: update, streamline, and speed-up the chargeback process. Will it work, though? That’s harder to say. 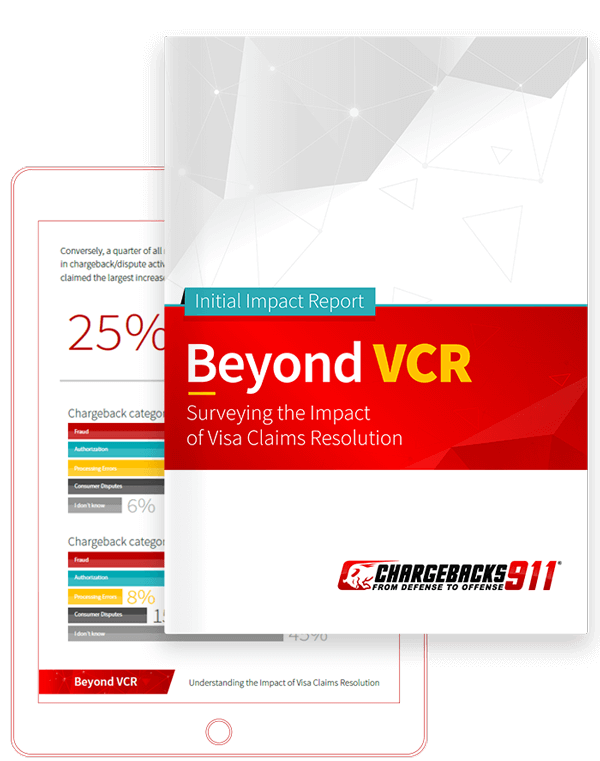 If we look at our Beyond VCR: Surveying the Impact of Visa Claims Resolution study released last year, we see merchants were less-than-enthusiastic about the changes. Most said VCR either made no difference, or actually made things harder for merchants. The policy simplified certain processes, but reduced timeframes and new workflows complicated others. The Mastercard Dispute Resolution Initiative does introduce steps that can help you with friendly fraud. But ultimately, neither that or Visa Claims Resolution address a core problem with chargebacks: that most are illegitimate. The percentage of chargebacks that are due to friendly fraud, cyber shoplifting, or other abuse. Unless card scheme policies can reflect that and take illegitimate chargebacks seriously, we’re not going to see significant progress. The average merchant is crunched for resources, time, and expertise. You probably fit that bill, too. Keeping up with constant policy changes--and adopting the new tools and practices required--is hard. You could spend that time doing something productive, like growing your user base or revenue stream. This is the first in a series of posts about changes coming to the Mastercard environment. Be sure to check back soon. We’ll be investigating more MDRI details, new and restrictive rules for negative options billing, and much, much more. Have a question about the Mastercard Dispute Resolution Initiative and your business? Click below to speak with one of our experts today.